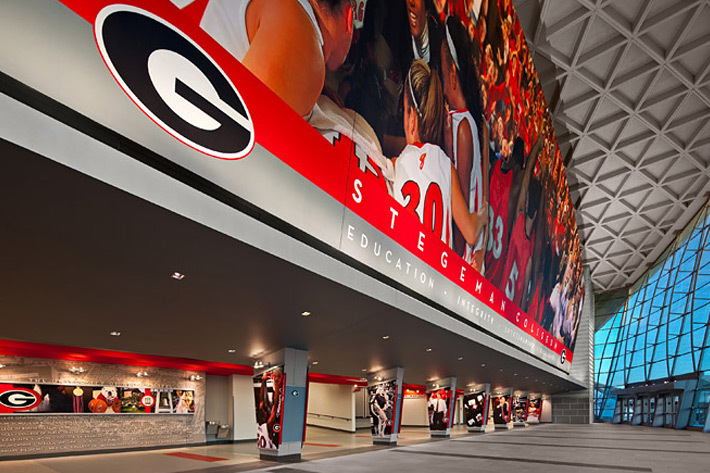 UGA’s landmark Stegeman Coliseum received a $12 million update as part of the ongoing modernization of the university’s building stock. 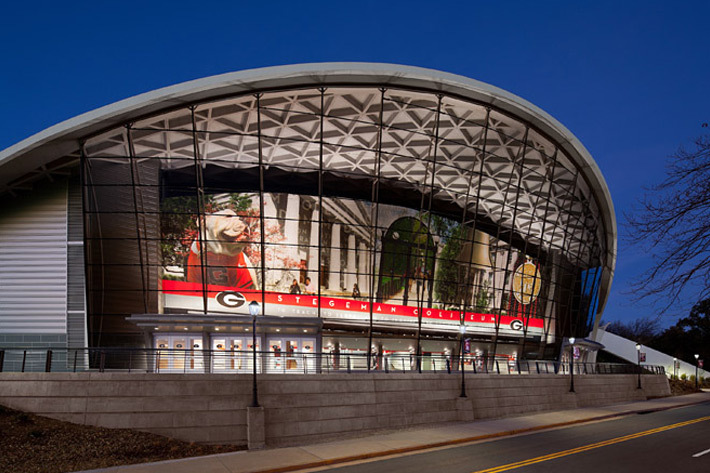 Enhanced public spaces, two large glazed entrance lobbies and a distinct graphics program help to revitalize the facility and with the addition of the annex facility completed in 2009, make it a renewed source of pride for UGA students, faculty and fans. CD+M partnered with Atlanta-based architect Collins Cooper Carusi to develop lighting schemes that enhance colorful graphical elements without overpowering the space. The project received the 2011 Athens-Clarke Heritage Foundation Preservation Award as well as a 2012 IESNA Award of Merit in Lighting Design.